Discover more about our daily routine, which is structured to ensure every horse receives the individual attention and care it deserves. One of the many advantages of having your horse in a small yard, where their wellbeing is paramount, is that we are able to monitor their plans constantly. We are ready to adjust the horse’s personal programme from day to day if we believe this will help improve their time in our care. While the routine on larger yards tends to remain similar, we can ensure that we work to each individual horse. 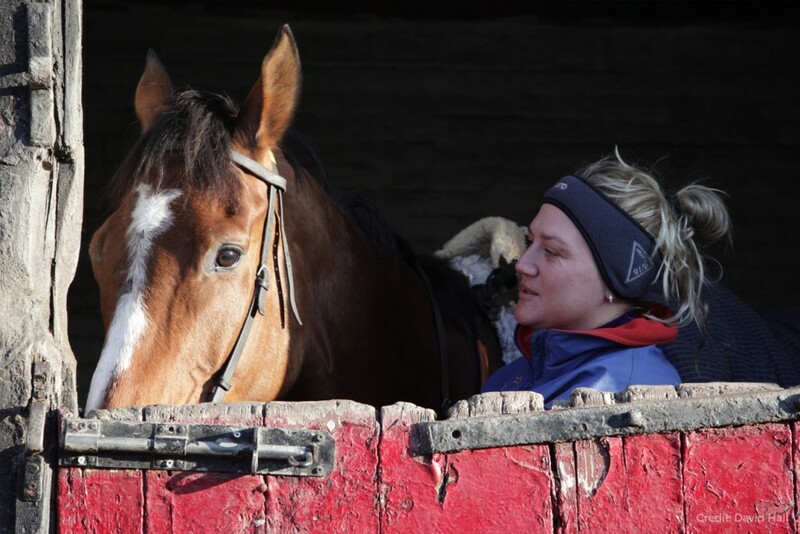 Every horse receives regular visits from our expert support team to ensure they are in optimum health, so whether a horse needs to be shod in a particular way or requires regular physio work, we know that our trusted professionals are on call to help. 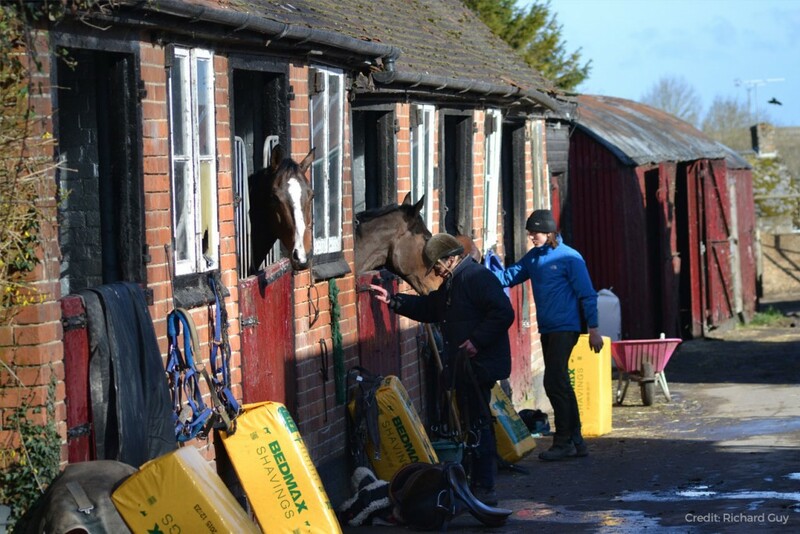 6am: Mark goes out into the yard to feed and check that the horses have all eaten up from the night before and that all legs are clean and showing no signs of injury. 6.30 – 10.30am: Soon after Mark and Sara discuss plans for the morning exercise. 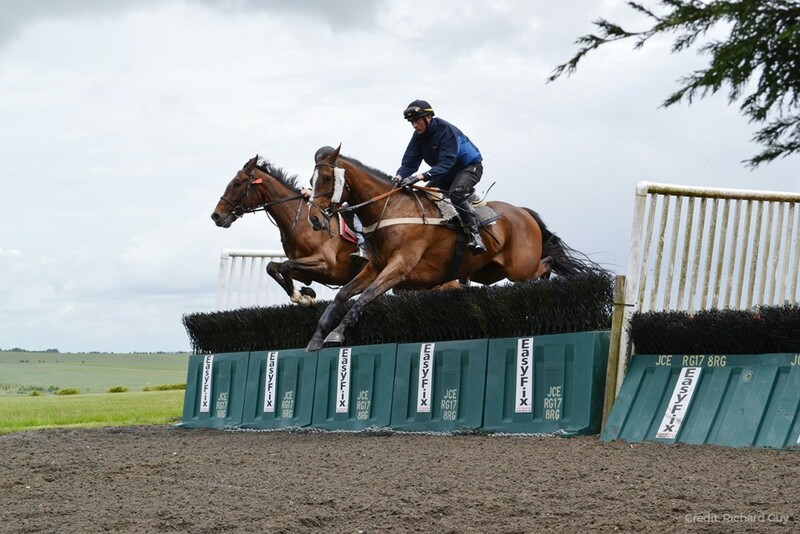 Horses usually trot on the roads or are schooled in the purpose built arena on Monday; canter and / or jump Tuesday; gallop Wednesday; have an easy day Thursday; canter/jump Friday and work again Saturday before having an easier day on Sunday. These plans are fluid and horses go out together or singly depending on their requirements. Their workload is altered to maximise fitness without causing undue stress to their minds or bodies. 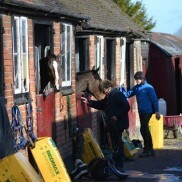 11am: The yards are swept, horses fed and watered and the yard closes at lunchtime so that the horses can relax and eat their lunch. 4pm: The lads return and Wilson and Deepak muck out and groom the horses while Sara and Lily ride anything that needs riding. Mark and the others lead out, put horses on the walker, turn them out or just give them a pick of grass. The decision as to whether a horse is ridden twice a day is based on the level and type of work they did in their morning session. 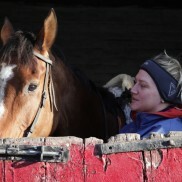 Horses may sometimes do two lots of slower work , while those who have undergone any intense or hard work, may need a gentle hack for example, to help loosen any tight muscles. 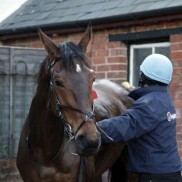 Some horses like Coneygree are ridden twice daily purely because they prefer to be out of their stable. Coneygree can also be too fresh to lead on occasions and much prefers being ridden to going on the horse walker, so this type of routine suits him perfectly. 6pm: The horses are fed again and both Wilson and Deepak make sure that all the horses have hay, water, feed and are comfortably rugged up for the night. Sara is often still in the yard finishing up with extra bits of TLC until the final check and late feeds are done at about 9.30pm. After that, it is bedtime for all, but as the house is situated in the yard there are often noises at night which get checked to ensure there is not a horse cast or uncomfortable in some way. 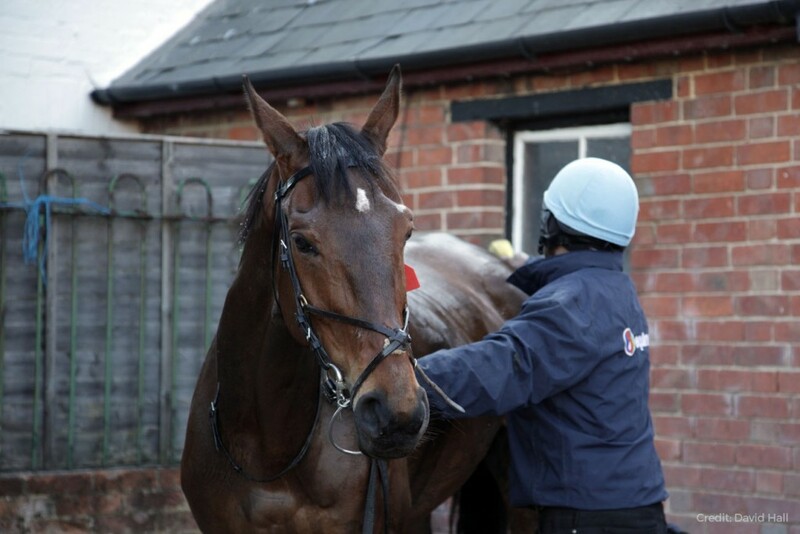 If you like the sound of this and want to find out about keeping a racehorse with us, then get in touch and we can talk through your hopes and plans.